Each week(ish), CinemATL Podcast hosts Martin Kelley and Michael D Friedman will be naming our Top 3 picks based on the weekend’s big movie release or event. Keep in mind, these lists are totally based on our opinion, and aren’t supposed to be a definitive list of the “best” movies. If you disagree with our selections, please let us know in the comments section below! The holiday movie season began in earnest this week as Thor: Ragnarok slammed into theaters. 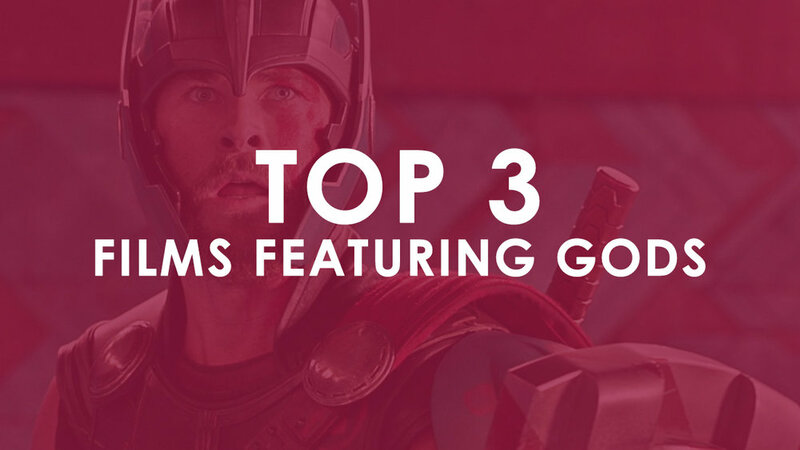 To celebrate the first big blockbuster of the Fall, we decided to focus our Top 3 on films that feature Gods (of any mythology... Norse, Greek, Egyptian, you name it). Yes. I will always have a soft spot for this movie over some of the updated versions of the gods that have come afterwards. 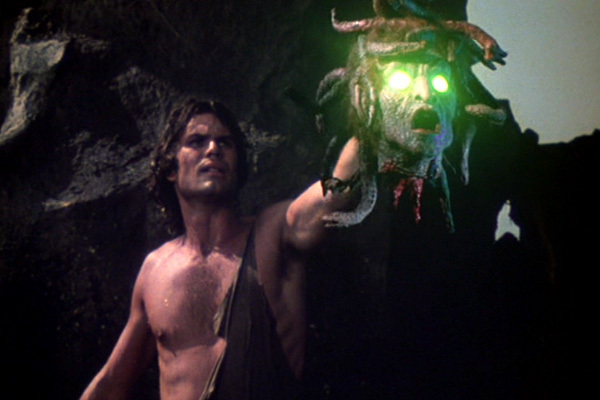 Being a kid and seeing fantasy films often captures ones imagination and I will confess that even though Star Wars and other films were far superior, Clash of the Titans was a pretty decent flick in its day. The movie gives us plenty of Gods and Goddesses working out their beefs the old fashioned way, but putting mortals in the middle. Also, who wasn’t at least mildly impressed with a mechanical owl and terrified by Medusa? I admit that I liked this take on the Greek Gods. It was a fun re-imagining of the mythology that we grew up on. In the film, Percy Jackson discovers that his dad is the God of the Seas, Poseidon, and he goes off to Demi-god camp where he meets young people with similar parentage. Along the way, he gets caught up in an adventure to find out who stole his Uncle, yeah Zeus’ lightning bolt in order to prevent a war between the gods that would surely result in lots of human collateral damage. Fun if disposable entertainment. Yes, Thor. After being evicted from Asgard by his father Odin, Thor lands on earth and must learn how to live with humans. Along the way he falls for an intelligent scientist Jane before having to use his power to protect Earth from an evil plot hatched by a familiar villain from his home. Part of the well-conceived and well executed Marvel Universe, Thor kicked off the current screen career of the Norse God who hasn’t disappointed (well not much) since he came on the scene. As a confessed Marvel junkie, it's probably no surprise that this one tops my list. Thor as a movie is lots of fun... more fun than I think people give it credit for in hindsight. Maybe it's because its sequel, The Dark World, is very underwhelming... but in actuality Thor was a great introduction for a character that's been handled very well in other Marvel films. The supporting cast in this film was spot on as well, with Stellan Skarsgård, Natalie Portman and Kat Dennings offering fun performances as Thor's Earth-bound friends, while also introducing us to Loki (Tom Hiddleston), perhaps Marvel's best villain to date. I confess that it's been a while since I've seen this film, so I could tell you little about the plot (if there actually was one), but visually the film is an absolute stunner. If there's one thing I can say about Zach Snyder's films, its usually that they are nice to look at. And I'm not talking about the chiseled abs of the Spartan warriors (though the ladies might). The attempt to mirror 300's art direction has been attempted many times since, but never really duplicated.